Full Height sliding stainless steel doors with glass panes. 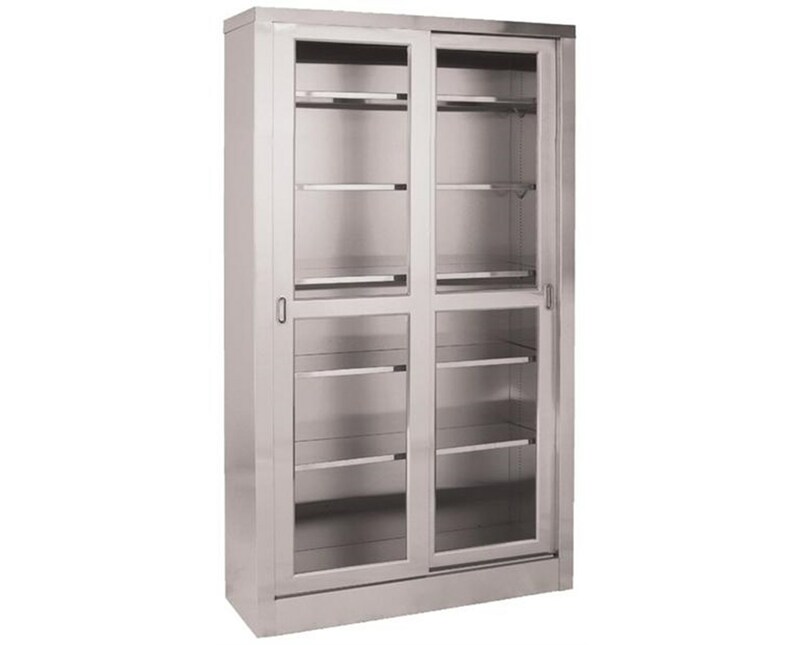 The UMF SS7816 Stainless Steel Large Storage Cabinet isthe perfect solution for maintaining valuable equipment and precision instruments. 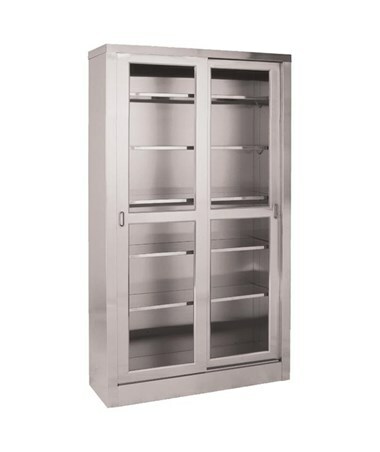 UMF designed, the stainless steel storage cabinet features smooth sliding doors with glass panes, five removable, adjustable stainless steel shelves, and adjustable leveling glides which ensure the cabinets smooth operation. Optional locks are available to ensuresecurity of valuables or restricted accessitems (factory installed only). Removable, adjustable stainless steel shelves.